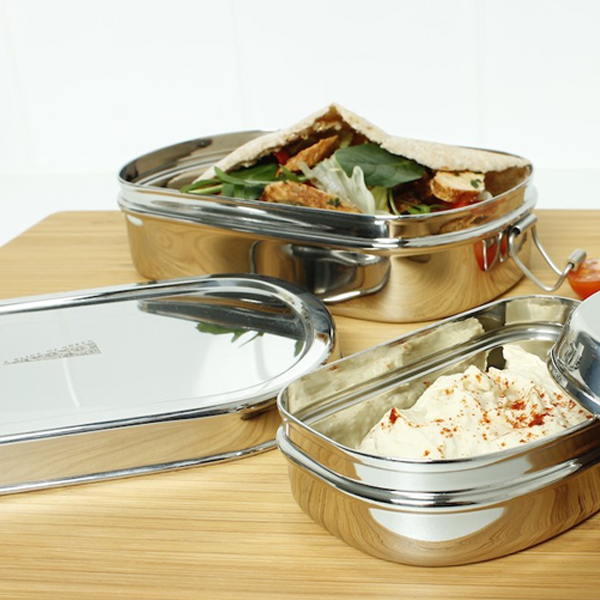 This stainless steel eco lunch box is perfect for a balanced waste-free lunch. 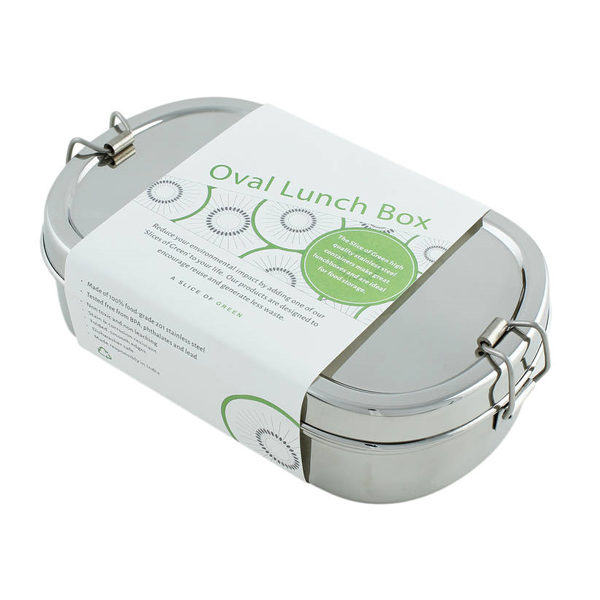 With smooth, rounded edges and clip closure, it is ideal for taking a mixed lunch of a savoury salad or sandwich with fruit and a snack to work or school - in one neat container. Please note that because the lids do not have a plastic seal, there could be some leakage if used with very wet foods. Overall Dimensions - 19 x 5 x 10.5cm. 450ml capacity. Mini Container - 10 x 3.5 x 6.5cm. 200ml capacity. 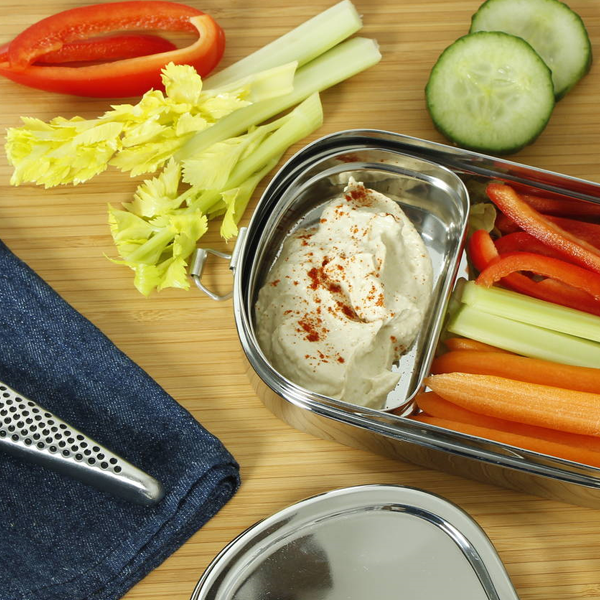 Free from plastic, BPA, phthalates and lead. Not for use in microwave. Dishwasher safe. 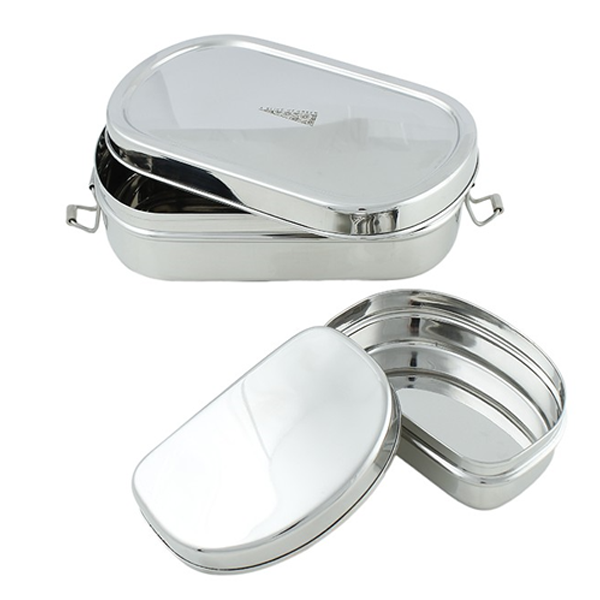 Made responsibly in India from high quality, food grade stainless steel chosen for its non-leaching, durable nature.